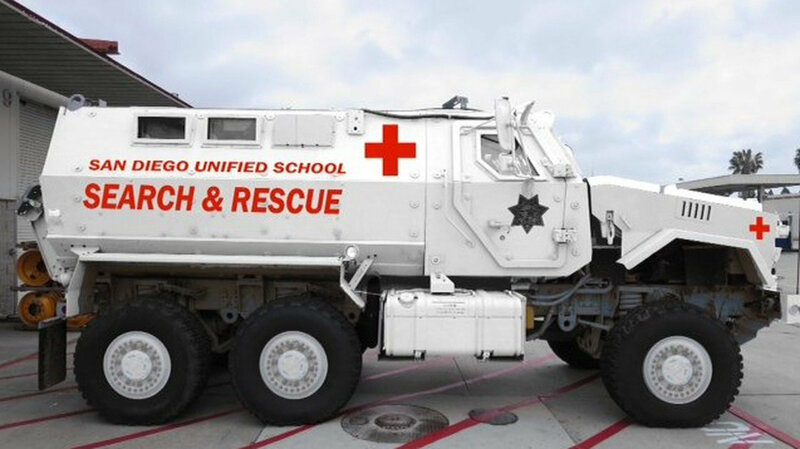 If the San Diego Unified School District can get an armored vehicle for god knows what… why can’t we? “The six-wheel Caiman MRAP has an official value of around $733,000. But the San Diego school district paid only about $5,000 to transport it.” At a price that low, we can’t afford not to get our own. Let’s hear some ideas.